The interesting part here is that BBR’s first slot car is a kit, not pre-built, so BBR fans will get to build their own Ferrari. The key with any kit is good instructions, but unfortunately BBR includes only a diagram on the box to show you approximately where all the parts go, if the car were completely disassembled. Figuring out all the plastic parts was a snap, and yes you could simply snap most together. I’d recommend you use glue though, if you intend to race, not just look at, the car. Trust me, it can be disconcerting when the driver’s head begins rolling about the cockpit. Getting the cockpit and engine bay to fit together neatly takes a little Xacto knife work, but generally assembly was fine. The mechanicals were another story. Putting the wheels together, complete with awesome detailed disc brakes and red calipers, wasn’t hard. However, hooking up the rear drive axle and gears took some doing. Most important is finding an incredibly small Allen wrench to fit the screw in the gear housing. THAT should come with the kit. Even then getting it adjusted just right to properly mesh the gears took several tries. One benefit is a variety of magnet housing locations on the bottom of this rather flexible chassis. I found the further back the twin magnets went, the better performance became. 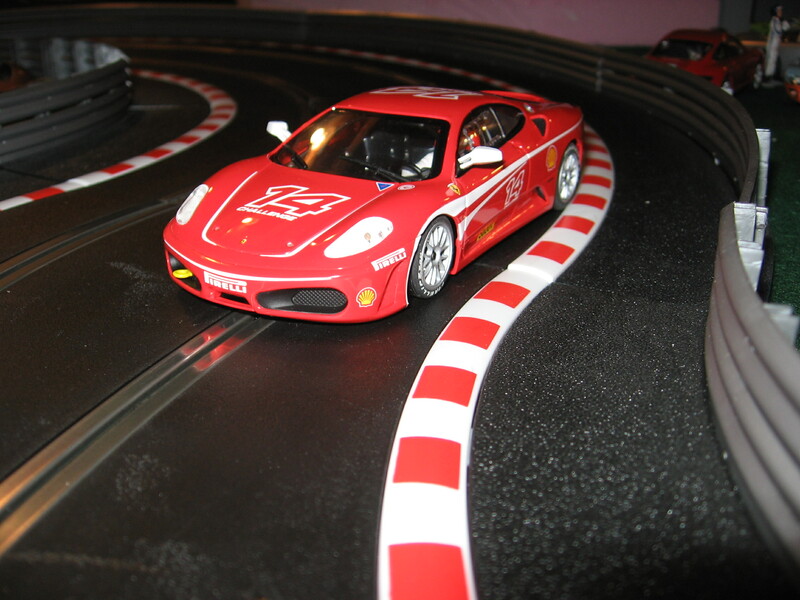 However, grip is still not as good as with many Scalextric and Revell slot cars. Silicone tires are definitely in order. The car has speed though, its Songna motor is strong, but like many Ninco cars, this one makes a fair amount of noise as it clatters around the track. Overall performance also is along the lines of older Ninco racers.